Fright Street No. 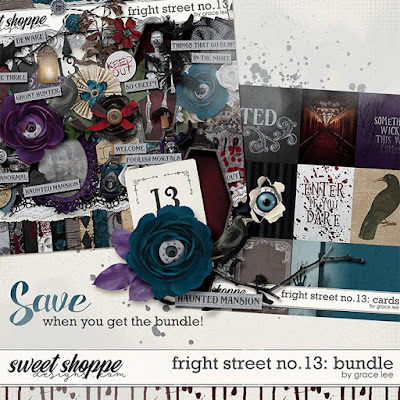 13: Bundle is perfect for capturing the thrill of all of the haunts and spells of the season. Your frightening layouts of Halloween fun will look spooktacularly enhanced by the eerie papers and elements in this ghostly collection.